Eifion has spent years reading magical tomes and books in multiple languages. He has beaten his brain into the shape of Aeria's continents and has a knowledge of its world that could answer almost any question. Eifion once tried to pursue traditional self-defense, but gave up any chance of honing his skills when he became skilled in sorcery. Eifion's lack of physical strength would prevent him from prevailing in a traditional sparring match, but he does have enough speed and agility to avoid being beaten to a pulp while trying to weave spells. As an inevitable result of Eifion's isolation from his family and friends, he spent most of his time simply listening and watching those around him and learning the secrets of the world through observation. Eifion usually relies on his magic to get by in dire situations, so his natural abilities to survive and shrug off damage have not developed beyond basic points. Eifion's continual study of magic and concentration of the mind have allowed him to learn how to resist many tricks of the mind and body specifically because of his training as a sorcerer of illusions. Eifion has a general knowledge of fortimancy as somewhat of an abjuration mage. His general knowledge allows him to manipulate objects and nature but less other beings. Eifion is an immensely powerful illusion mage, known to even trick other mages with his vivid portrayals of monsters, demons, and mundane objects and even self-alteration to an extreme level. Eifion knows enough conjuration magic to protect himself but is not an expert nor in vitamancy or necromancy. Eifion is almost a simple grunt when it comes to planumancy. He is a mage and therefore has a very limited knowledge of all fields of magic but certainly could not preform a feat in planumancy. Eifion's common readings on magic have left him with formidable knowledge of enchantments, wards, and scrolls, but it is still not his strong suit. Eifion's role in combat mostly encompasses intimidation. He will use powerful illusion magic to turn himself, his allies, or even entire armies into frightening monsters or demons to end a fight before it begins. At times, he may use abjuration magic to turn parts of his clothing or body into actual weapons for self-defense. Eifion has a relatively unsubstantial role outside of combat. His limited knowledge of abjuration allows for an amount of object manipulation and his extensive knowledge of magic and the land of Aeria is also formidable, but not uncommon. Eifion is trained as a skilled sculptor and therefore also has knowledge of being a potter or merchant. His magical prowess contributes to his powers of persuasion. Eifion Cairo found his arcane powers in magic, mainly illusion magic, at a very young age almost accidentally. He grew up in Torah secretly training them and even crafted his own robe with unique silver strips along its fabric. Ever since he was young, Eifion's magic isolated him from his friends and family and he has remained not as social ever since. He trained in the profession of sculpting and got his own shop as a young adult. When his parents died and he became very sick of using his magic only secretively, he went into a depressive mid-life crisis and began consuming illegal substances to sate himself. When he finally became sober of these drugs, he decided to visit the town of Surna for a time to get away from the life he had created in Torah temporarily. While Eifion has not truly been tested in combat yet, he is confident that his illusion magic will be shocking to any foe and even perhaps armies. Eifion began his life as a single child in the city of Torah in the Sultanate of Torah. While he would grow to become a powerful sorcerer of illusions, he began his career in the arcane arts unintentionally. Deep in the historical bloodline of the Cairo lineage, there existed a powerful sorcerer whose name is not known to the family; for an unknown reason, the magical essence of this sorcerer manifested itself when Eifion entered the Cairo lineage, but not in other cases so far. As a child of eight years, Eifion's affinity for persuasion was oddly powerful. Not only was he able to beg on the streets despite his family being of the middle class, he was able to do much more. If Eifion thought to trick someone into falling down a hole, he would simply wish that there was a fake floor covering the hole, and such would appear. Little did he know that his illusion magic was taking hold here. His effectiveness in pranks simply for amusement would disappoint his parents and peers, but as this happened, Eifion became more isolated from his family and friends, and would pursue his passion instead: developing these skills. As a teenager, Eifion began to realize his powers, as well as the consequences that would come if others were to learn of this, so his pranks and amusements began more uncommon. The little amount of magical information that Eifion could get his hands on, especially about illusions and cognimancy, he cherished and would read over and over again to master, though many were in occitanian, and he was forced to learn this language. Through this, Eifion also learned much general information about abjuration and conjuration. As a young adult, Eifion trained as a sculptor for a small amount of time before joining a sculptor's business and becoming quite successful there. He later broke off to form his own sculptor's shop and did so with quite a bit of success, known for his sculptures resembling aspects of the deities of Aeria, though he did not actively take part in their worship. This was somewhat of a disguise, as he knew others would believe he had faith if he sculpted representations of gods, but Eifion did not personally believe that this was in any way connecting him to the gods. Eifion gradually became more and more sick of hiding his magical affinity. He decided one night to create an ideal outfit for his secretive magic training. Stealing a simple dark robe from a tailor and a leather vest from a craftsman, he found that it needed a more personal touch as well, and decided to enter a smithy's shop as soon as it had closed and it was dark the next night. He was able to fire up the forge and take some of the abundant metal used by the shop's blacksmith, but his skill was limited, so he used some of the molds that were already in the smith's shop to create extremely thin strips of silver that could be easily bent later with some craftsman's tools. He took such tools from the shop and left while darkness was still upon the city as to be sure of avoiding punishment. With the silver strips and tools he had taken, he stitched the small metal details onto his outfit in unique patterns and curves. 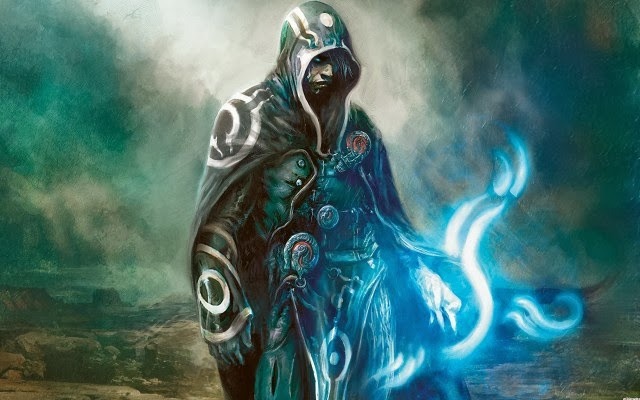 As a very conductive metal of magic, silver enhanced Eifion's magical abilities while wearing the robe and supplemented it with a small amount of rigidity, though was completely ineffective in providing any extra defense. Eifion was extremely proud of the robe he had created, but knew that it was still not public attire, so he thought of only wearing it during specific times and making sure to usually don a traditional Sidan middle-class outfit. When Eifion grew to twenty-nine years of age, both of his parents died of an unknown illness that many claimed was related to faith. These common claims made Eifion paranoid of his atheism, though he stayed with his beliefs for the time. His life continued on for another ten years running his sculptor's shop and secretively practicing magic, though when he became thirty-nine, he went through somewhat of a mid-life crisis. His depression stemmed mainly from the continuing limitation on his magic, though it was also affected by a very late reflection on his parents' deaths. In order to regain the pleasure in his life, he began turning to less conventional methods by using intoxicating substances. He began by simply consuming ecstasy, but went on to combine it with calamity for the unique effect given by the stimulant and narcotic together. His addiction to these drugs lasted for four years until he finally managed to quit them. When he did so at the age of 43, his business as a sculptor had fallen down the drain, and he decided to move, at least temporarily, to a new place where he could leave it behind for a while. Eifion decided to move to Surna in Sanctimonia. He had heard about recent events in Surna that were frightening many, though he was fascinated by these and they only encouraged him to visit even more. He sold his shop to raise some money to be able to support himself on a trip, and took off for Surna. And specific spells would also be great. -I have yet to read the bio I will do it later but that's the only thing I first noticed at a glance. Thanks a lot. Please criticize in any way you can I mean it, I only want to improve it to the max however I can. I'll definetely change that as soon as I can. There we go. I have no idea how powerful spell casters are in general right now. My illusion magic is pretty crazy and can really freak people out, but i kept the abjuration and conjuration way down. One thing I would mention is that to cast a spell you need to "weave" the spell first, so some sort of magical incantation or gestures. Backstory looks quite solid, although may want to go a bit more in-depth about how he learned his magic to support his strength in each. Books, private tutors etc. Having a strong magical affinity in a field can only bring you so far on your own.